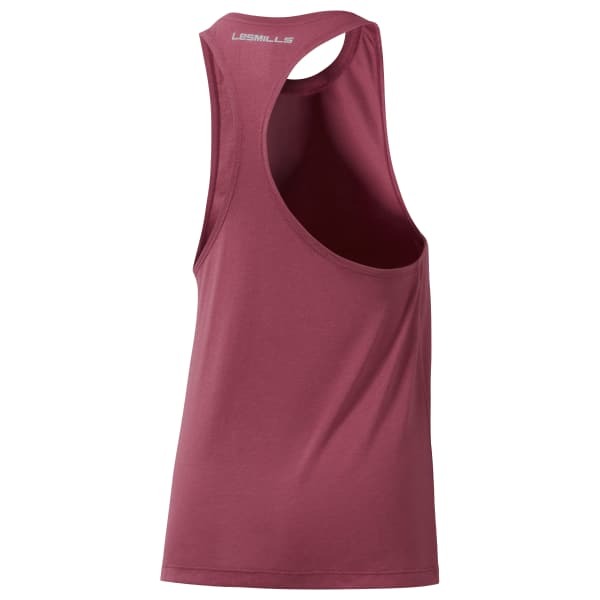 An easy to love burnout tank that lets you move, breathe and look great while doing your thing. This soft jersey burnout crew neck tank is styled with a flattering fit. Dropped arm holes and a racerback silhouette make ease of movement the priority. The burnout LES MILLS graphic front adds subtle brand recognition.